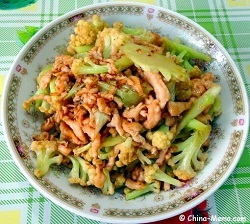 Our home cooking recipe for Chinese Chicken Cauliflower, marinated chicken is stir-fried with cauliflower, tender and full of flavour. 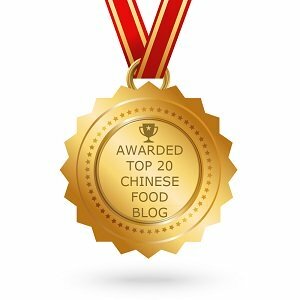 How do you deal with leftover meat? 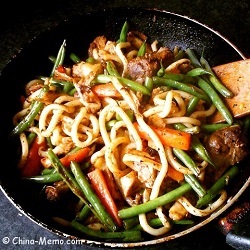 I made this easy Chinese fried noodle recipe to turn the leftover chicken into a lovely tasty meal, which only takes less than 20 minutes to make. 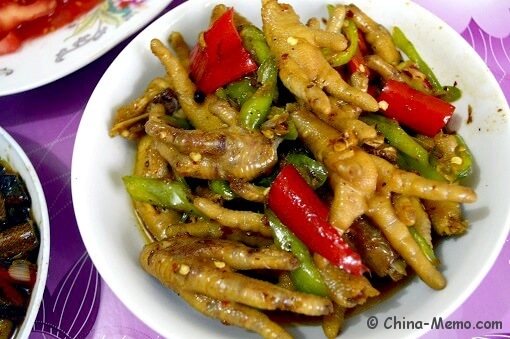 Like it or hate it, chicken feet is very common in Chinese daily diet, as you may see it served as a single dish or in the soup, and perhaps most time, chicken feet is a snack! 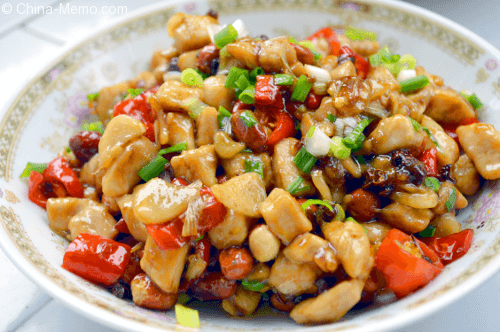 Here is our family version of Chinese Kung Pao chicken, the tender and succulent chicken with Sichuan pepper, red chillies and roasted peanuts. 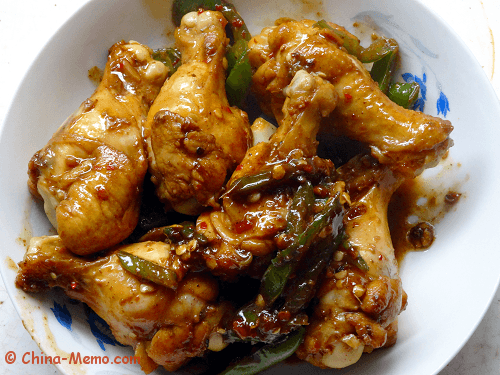 Love Chinese chicken dish, maybe you will be interested inour home cooking for Chinese chicken drumsticks, hot spicy with green chillies and garlic. Simple, easy and tasty. Using corn starch flour keeps the meat moisture so the fried chicken tastes tender. 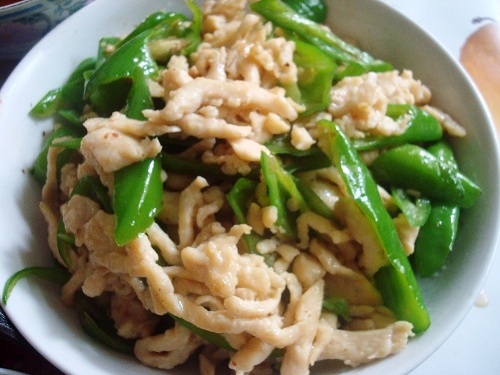 Mixed with chilli and wood ear, this dish is healthy and delicious. 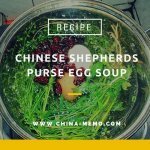 A dish I adpated from my parents' Szechuan salad recipe. 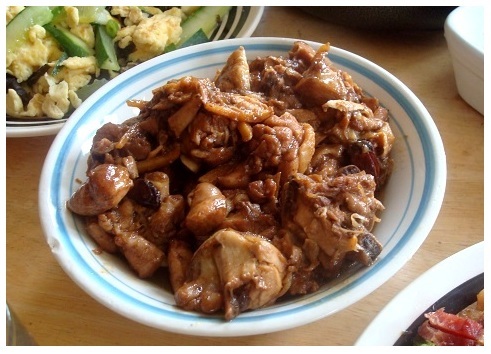 Stir fried chicken with green chillies mixed with Szechuan salad sauce, sweet, sour and spicy.